A very well cared for Birchwood Commodore 31 featuring 4 berths in 2 cabins. The large aft cabin is home to the galley and spacious 2nd saloon/seating area that converts giving the option of a good sized double bed. There is a good sized saloon which offers seating and large windows and is home to the lower helm. Fwd is the generous heads and shower with twin door access. The fwd cabin has 2 good size single berths. She is very well presented and appears to be a very dry boat with no signs of water ingress. New Stainless steel fuel tank fitted Sept 2018. 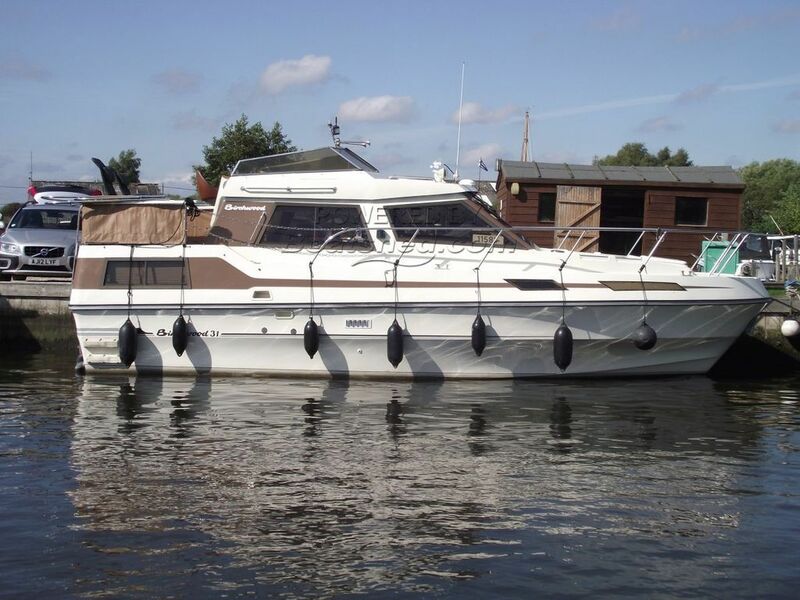 This Birchwood TS 31 Commodore has been personally photographed and viewed by Gary of Boatshed Norfolk. Click here for contact details.